Apple CEO Tim Cook's most recent tech prophecy is that "AR will change everything." And now, that includes Apple's own website. The company has published a new page highlighting its AR apps, specifically, AR content produced by developers using ARKit. "Imagine if the line between the virtual and the real simply didn't exist," the page states. 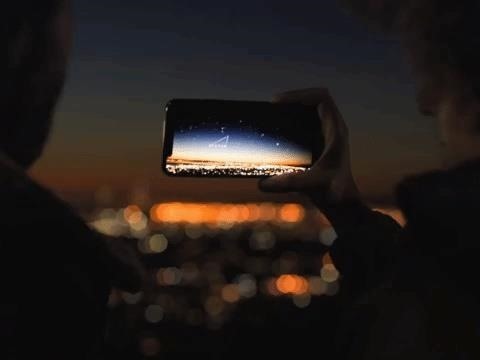 "With iPhone and iPad, those experiences are not only possible, they're here. 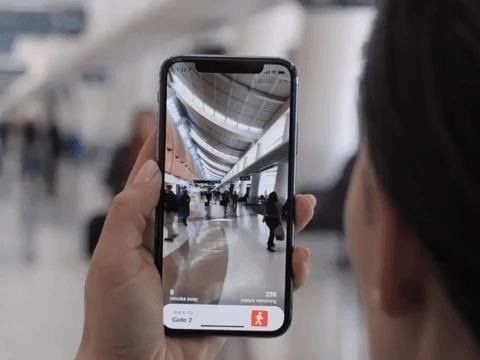 Augmented reality is a new way to use technology that transforms how you work, learn, play, and connect with almost everything around you. And this is just the beginning. Welcome to a new world." 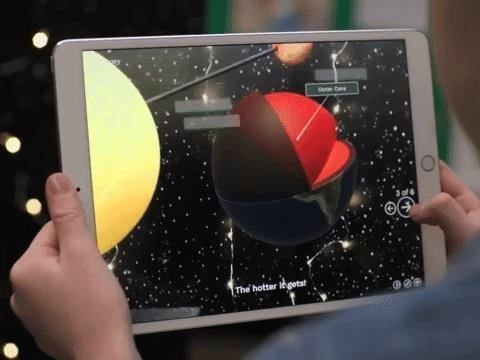 The page divides its AR app ecosystem into three sections, productivity, play, and learning, with videos streaming in the background that spotlight the featured apps. 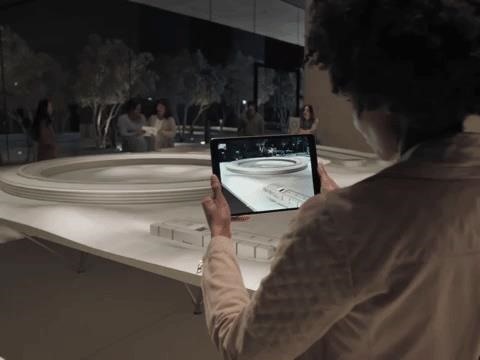 Under productivity, the company draws attention to IKEA Place, as well as the ways in which GE and American Airlines are experimenting with ARKit. 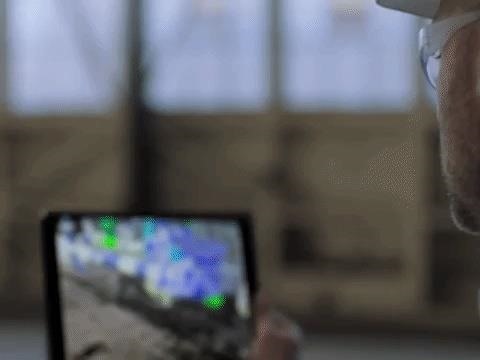 For its part, GE has built an internal application for visualizing industrial equipment, while American Airlines has developed a prototype airport navigation app that overlays routes and points of interest on the screen for customers. For play, Apple trots out the patron saint of mobile AR, Pokémon GO, along with My Very First Caterpillar, and Monster Park. On the learning end, we get a look at apps including Complete Anatomy, Jigspace, and Sky Guide. Apple ties everything together at the end of the page by outlining its software (iOS and ARKit) and hardware (cameras and processors) that make these experiences possible. 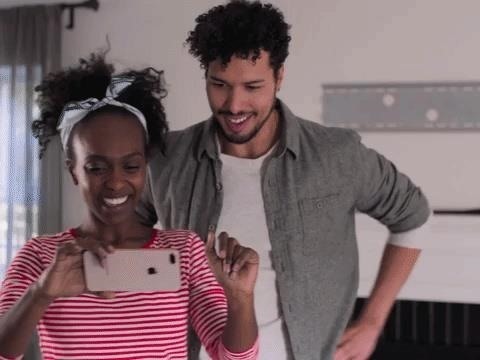 The company then closes with two calls to action: explore a curated selection of AR apps in the App Store, or visit the developer's site to start building your own apps. 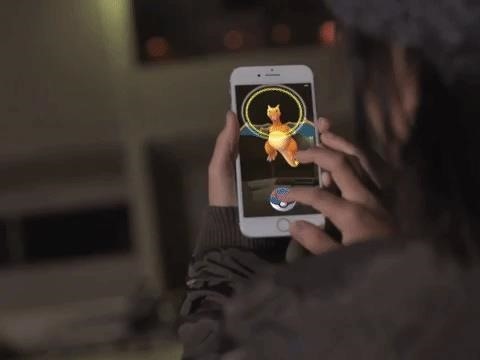 In addition to cementing the technology's place in its product strategy, the page also serves to establish a few battlefronts for AR apps in general. Apple is already facing stiff competition among enterprise productivity platforms like Upskill, Ubimax, and Scope AR (which actually has an Apple App Store app available as well) and device makers like Vuzix, DAQRI, and Google. 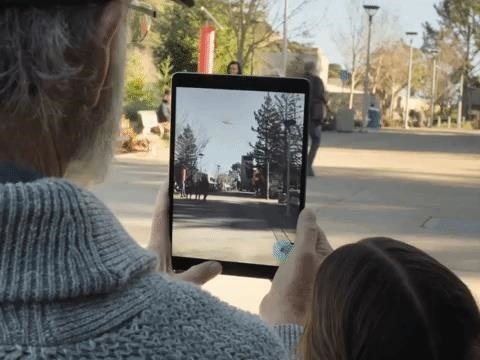 The Cupertino tech giant is also competing for attention in the fun and games space with Snapchat and Facebook, both of which have AR platforms and development ecosystems available. 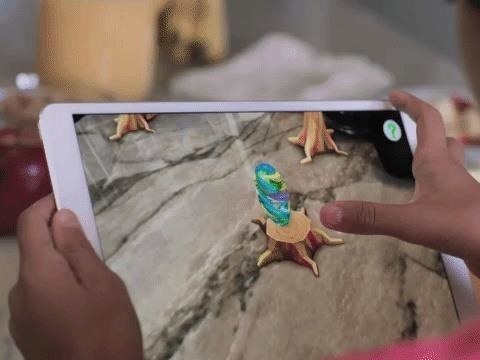 And, in practical terms, AR learning apps may also put the iPad on a competitive collision course with Google, which has risen to a prominent position in education circles with its low-cost Chromebooks. Magic Leap CEO Rony Abovitz may look down his nose at mobile-based AR experiences and its "pop culture" definition, but Cook and company are going to make a run of it nonetheless.